My daughter loves to doodle on anything and likes to practice her fancy writing, that's why I was so excited to review the CursiveLogic program. Since she is in third grade, it is the perfect year to begin teaching her cursive. Most public schools today don’t teach cursive, so I was happy to have this handwriting program. We received the CursiveLogic Quick-Start Pack and The Art of Cursive coloring book from CursiveLogic. 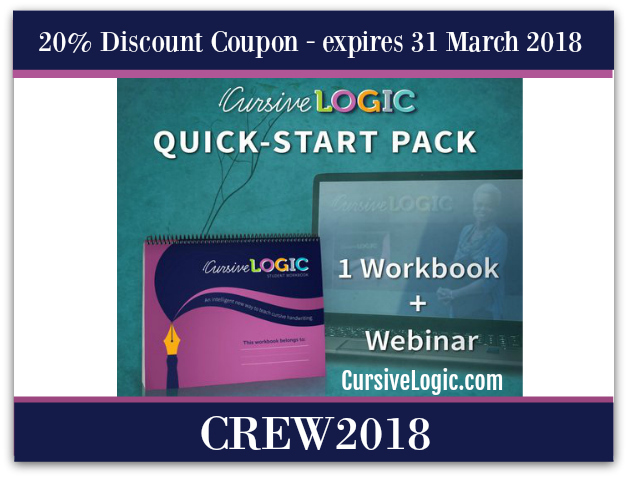 The CursiveLogic handwriting program is ten weeks long and includes a workbook and webinar. It’s up to you how you want to pace yourself, but my third grader is currently doing one lesson a week. I like the logical approach to teaching cursive letters, but I also don’t want to overwhelm her. The first thing that I did to get started was to watch the included webinar from the CursiveLogic Quick-Start Pack. The webinar goes over the entire program and how students will learn cursive. I watched the webinar by myself first, so that I could understand the way the program is set-up. I think that before doing a lesson, you might want to watch the webinar with your child as well so they can understand the terms that are being used. The workbook lessons are divided into days. This makes it easy to decide how you want to structure the program for your child. 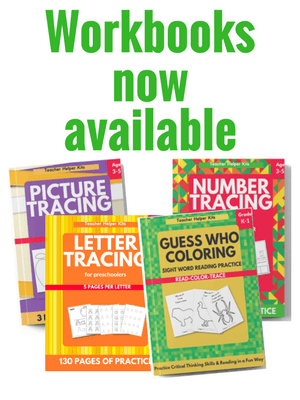 Another benefit of the workbook is that it is for both right and left-handed students. I like how they consider the needs of all children. 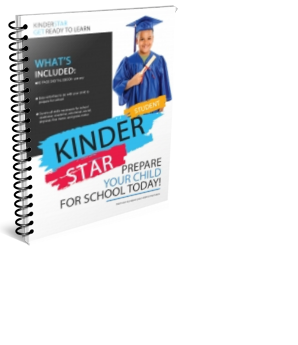 The workbook is set up for a multi-sensory approach that uses color, movement, verbal, and auditory cues which is helpful for all learning types. I really like that it is a shape-based approach that makes it easy to for the learner to grab. Instead of learning one letter at a time, you are taught how to connect letters right from the start. I think that it gives it a more “real world” approach to writing. My daughter liked being able to write words immediately, and I think it gives children more confidence to write an entire word, than only practicing letter after letter. We were also lucky enough to try The Art of Cursive coloring book. The Art of Cursive coloring book is so much fun! It is designed for an older student or adult as a fun way to practice cursive. I really enjoyed practicing my cursive and coloring at the same time. I would definitely recommend the coloring book for adults as a great way to get some mom time and relax. Overall, I would definitely recommend the CursiveLogic program! Since children and adults should know how to write cursive, this program teaches in a logical, and easy approach that anyone could understand. I will definitely continue to use the program since I see how much my daughter’s handwriting has improved. As a special bonus for readers, CursiveLogic is offering a limited time coupon. Whether you are an adult wanting to better your cursive or have a child learning cursive, then CursiveLogic is for you!